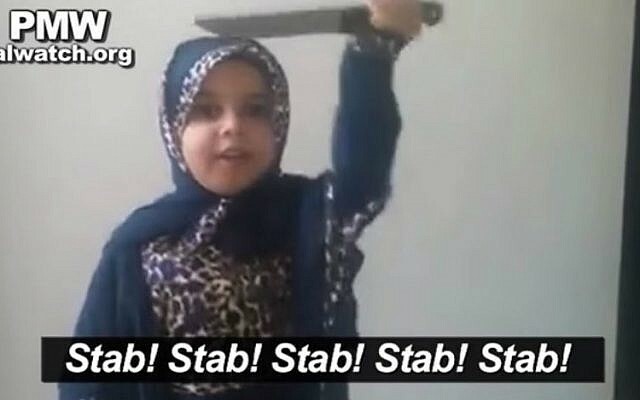 A video produced in the southern Gaza Strip last month shows a young girl, with her parents’ apparent prompting, eagerly advocating stabbing Israelis. The footage was posted on November 12 to a Facebook page entitled, “Jerusalem Intifada’s Young People’s Coalition,” according to a report Wednesday by the Israeli watchdog Palestinian Media Watch. 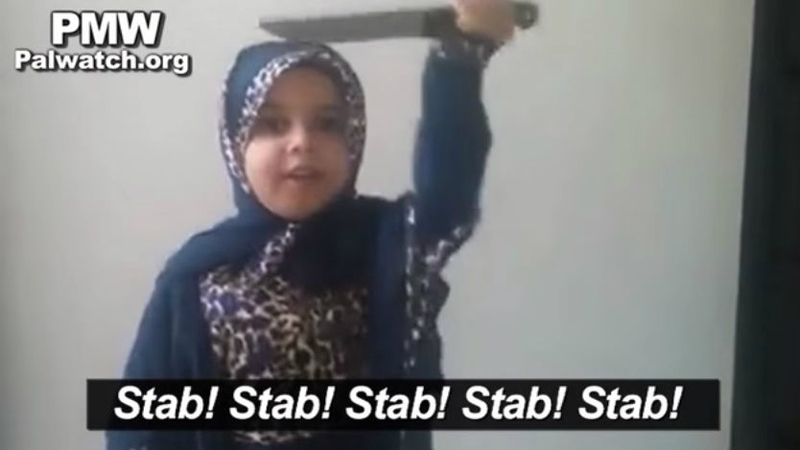 In the video, the girl is questioned by an imagined Israeli. “[Palestinian] youth are throwing stones at us [Israelis]” the Israeli says. The refrain refers to a meme on Palestinian social media born in a viral video in which an elderly Palestinian is seen arguing with Israeli soldiers. At least 22 Israelis have been killed in dozens of Palestinian stabbing and shooting attacks since the beginning of October throughout the country. Dozens more were injured. Roughly 70 Palestinian attackers have died in the attacks, according to Israeli figures.